Whenever there is an incident in America that affects the country, Will Carr from ABC News is there to cover it. He started his career as an intern for WSB-TV, and his unique ability is to report from as close to the scene of action as possible to bring the unvarnished truth to his viewers. When he is not covering the news, he is busy teaching kids basketball. In the end, Fox News’ loss proved to be ABC’s gain. 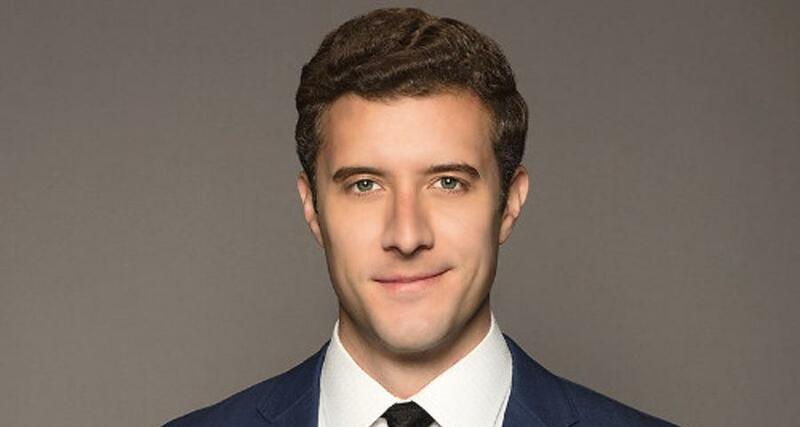 Will Carr, a much-in-demand news correspondent, joined ABC News as a Los Angeles-based correspondent on April 30, 2018, and has brought new momentum for the network. Before this, Will Car was Fox News national correspondent where he covered issues like the presidential campaign trail in 2016, accountability at the Department of Veterans Affairs, and the drug cartel violence in Mexico. According to reports, Carr is currently in a relationship with ABC News correspondent Marci Gonzalez. Here are some details from Will Carr’s wiki. Born on December 26, 1983, in Los Angeles, California, Will Carr’s age is 34. He has gone to ABC with a fantastic resume in his hands after having covered several issues of vital national importance. Carr took an in-depth look at the San Bernardino terror attack where he interviewed survivors and reported on the aftermath. He also went to Houston, Texas, after Hurricane Harvey struck and wrote about the damage it caused to the helpless community. He was right there in California as he reported about the largest wildfire in the state’s history, which displaced thousands of families from their homes. Additionally, he covered the mass shooting in Las Vegas and brought heart-rending stories from Ground Zero for his viewers. Carr excels in putting himself right at the scene of action and bringing as live an experience as he possibly can to his viewers. He is the one who cracked the story of sexual harassment charges brought against San Diego Mayor Bob Filner. He also reported the tragic incident of the 19 firefighters who were killed while battling a wildfire in Prescott, Arizona. Currently, Carr is a news correspondent for ABC News. He covers breaking stories the Greater Los Angeles area after being the national correspondent for Fox News from May 2013 to April 2018. Carr started his news career working as an intern at ABC affiliate WSB-TV before becoming a reporter and anchor for WRCB-TV in 2006 for Chattanooga, Tennessee. He remained with them until 2009 and then spent a year as a reporter and anchor at WTVC-TV NewChannel9, still covering the Chattanooga, Tennessee area. His next job was as a reporter and sports anchor at KOAT Action 7 News where he worked from 2010 to 2013, covering news in Albuquerque, New Mexico. He was named New Mexico Broadcaster’s Associate Reporter of the Year in 2011 for his investigative stories and high quality breaking news coverage. Earlier, in 2006, Carr had won an Esther Award for his excellent work in radio broadcasting. Carr attended the Grady School of Journalism and Mass Communication at the University of Georgia where he obtained a bachelor’s degree in broadcast journalism. He also picked up a Bachelor of Science in Broadcast Journalism in the same period of 2002 to 2006. The correspondent is also fluent in Spanish, which he regularly uses in his work. He isn’t just a news correspondent. Carr is a firm believer that children are the future of the United States and takes time out from his busy schedule to mentor and coach them. He is a volunteer with the Boys and Girls Clubs of America where he coaches a basketball team of 11- to 14-year-old kids up to two times a week. Right now, Carr is focused on his objective, which is to bring news to his viewers quickly and as accurately as possible. His name lends credibility and solidity to a news story no matter how astonishing and shocking it is. Viewers can rest easy knowing that whatever happens out there, Will Carr is covering it.